We had the opportunity to attend the opening night of Finding Neverland by KeyBank Broadway at The Paramount Theatre. Going in, even though I knew the story and had seen the movie before, it was much more than I expected! The highlight of the show was the incorporation of comedy and the talent of the four young boys who stole the show! There are a few remaining showtimes, including tomorrow, Saturday, and Sunday. 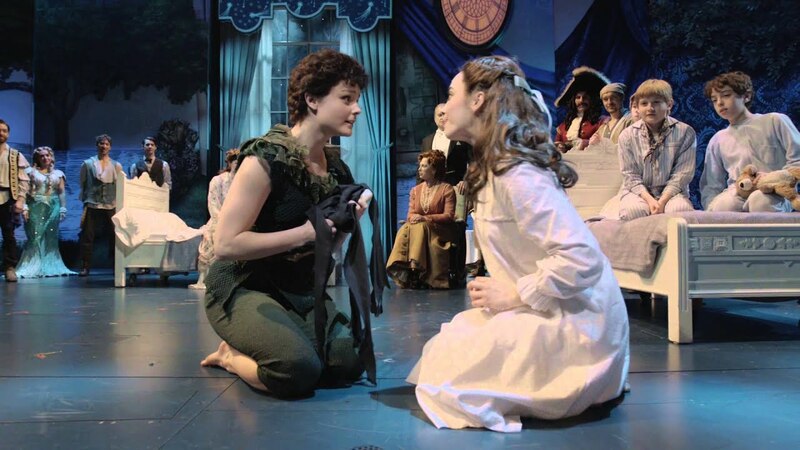 Finding Neverland follows the relationship between playwright J.M. Barrie and the family that inspired Peter Pan, or The Boy Who Wouldn’t Grow Up – one of the most beloved stories of all time. Directed by Tony®-winner Diane Paulus (Pippin, Hair) with book by Olivier Award®-nominee James Graham, music and lyrics by Gary Barlow (Take That) and Grammy Award®- winner Eliot Kennedy, and choreography by Emmy Award®-winner Mia Michaels (“So You Think You Can Dance,” Cirque du Soleil’s Delirium), this new musical, packed with mesmerizing visuals, irresistible songs and plenty of laughs, is a timeless story about the power of imagination… and spectacular proof that you never really have to grow up. It was a touching and a show that you could enjoy with your entire family. Great for the young and young at heart! Tickets start at $30 and are available on-line at available at STGPresents.org, Ticketmaster.com, by calling 1-800-745- 3000 or in person at The Paramount Theatre Box Office (Monday through Friday, 10am to 6pm). Finding Neverland is part of the 2016/2017 KeyBank Broadway at The Paramount series, presented by Seattle Theatre Group, with support for the sixth year from KeyBank as the series title sponsor. Brotherton Cadillac is the official auto sponsor, The Roosevelt Hotel is the official sponsor hotel and Delta Airlines is the official airline sponsor of KeyBank Broadway at The Paramount. Posted in Uncategorized and tagged Finding Neverland, Paramount Theatre. Bookmark the permalink.